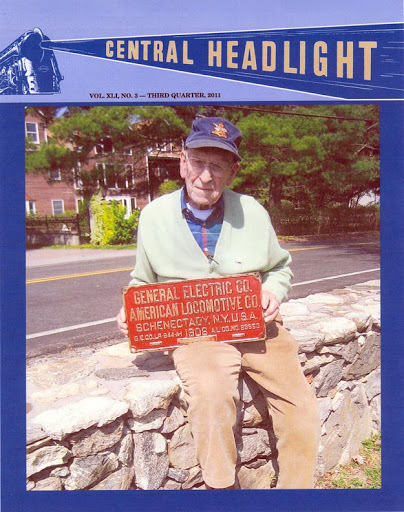 The 3rd Quarter 2011 issue of the Central Headlight is in the mail to all NYCSHS members in good standing. The cover story is about the career of Harlem Division engineer Bob Palmer (that’s Bob on the cover). It is a large 40-page issue also featuring the third part of the popular “Tales of 466” article by Dave DeBoer; a photo spread on the 2011 annual meeting; and several shorts that will make good late summer reading.